The TomTom Vio is the most recent presented product in the Q1 of 2017 and it is a change in the motorcycle’s Navigation Systems scenario, divided between standalone devices like TomTom Go or Garmin systems and Smartphone apps like Navigon and TomTom Navigator. In the first case you have a device that runs independently from the phone, supports TMC radio updates and sometime includes the 3G connectivity for the traffic information, but is expensive, becomes quickly obsolete, the battery runs out in a few hours and you need to connect the device to a power outlet (if available). 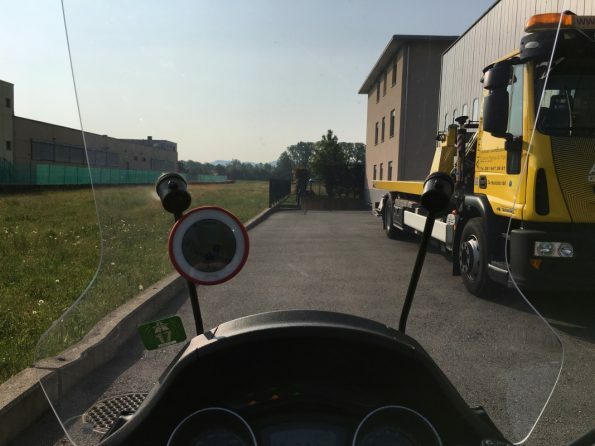 In the other side you have your smartphone, same battery issues but the connectivity, the traffic information and updates are always available; the phone also contains all needed information to find – with a web browser – more information about an unknown destination. The smartphone can be water-resistant but you are reluctant to install it on your motorcicyle in a rainly day because if it will stop working, you will suddenly lost the Navigator System and the only way to call your wife or your friend that are waiting for you. TomTom Vio is more like a remote display because you run the Navigation App in your smartphone, where you download the complete offline map, but the information will be shown in a 2.4″ display using the bluetooth connection. The phone will be safely stored in your pocket or the under-seat compartment while the water-proof Vio is fixed to your mirror bar. The device is cost-effective (169CHF), water resistant and the battery life is good (about 5 hours) and preserve the connected smartphone because it uses the Vio’s display and GPS. 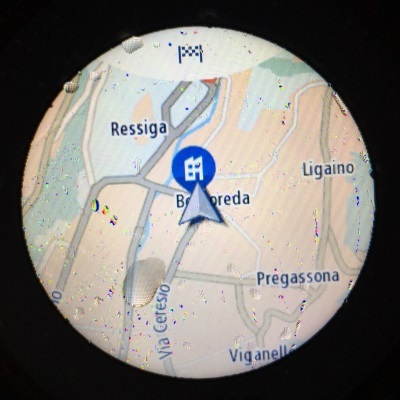 The user interface is very limited, you can only zoom in/zoom out the map and choose a destination between favourites one; if you want to insert an address or a point of interest you need to use the smartphone but once the destination is set, you can forget the phone and follow the indication on the small display. 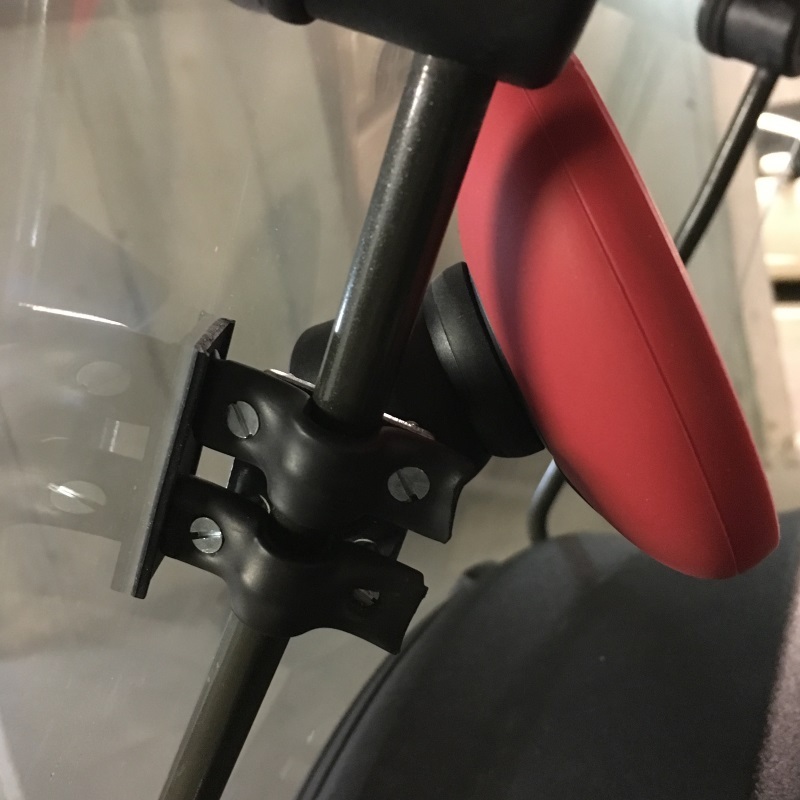 I’m very satisfied with this product but is not so happy for the mounting position because the mirror of my Piaggio MP3 is out of my sight and the Vio is pretty inusable in that position. Using a non-conventional set of tools (eg a trolley support) I obtained a more flexible mounting kit but I hope that TomTom will provide more mounting options in the future.